Q. I am wondering how you find book reviews in your databases? Thank you for your question. The answer to this will vary based on which database you're using on our A-Z list of databases. 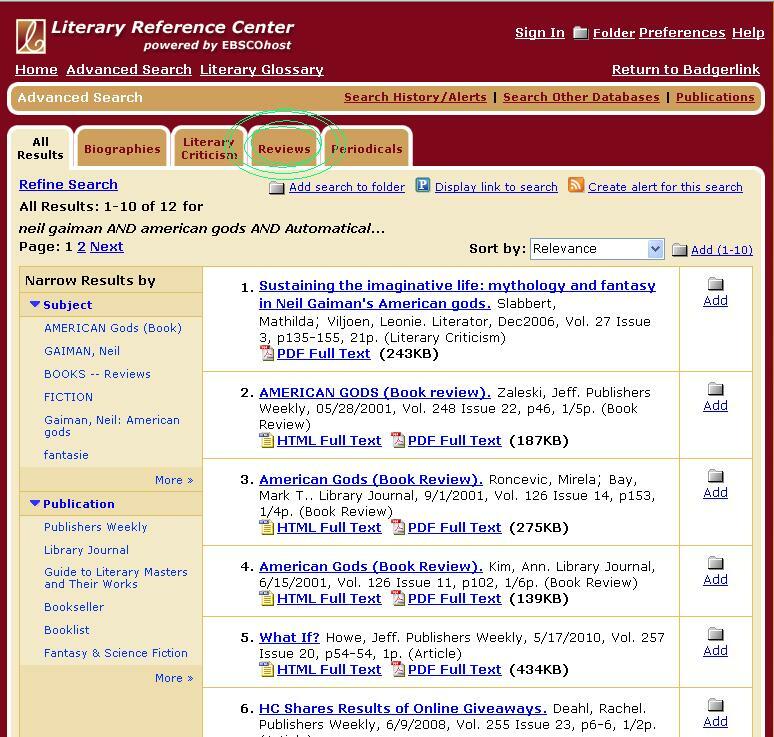 Another database you may wish to try is Literary Reference Center. After you put your search terms in (I used 'Neil Gaiman AND American Gods') and hit search, you can click the tab that says reviews to see book review results. I hope this helps. 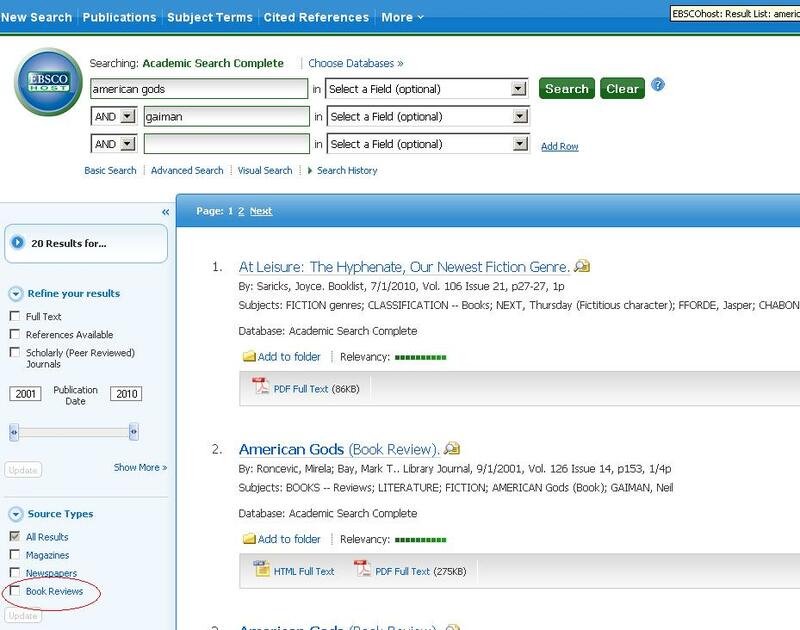 Some books may have more reviews than others so you may have to try several databases to find a good book review.